The Pulitzer Center on Crisis Reporting is committed to telling the stories of vulnerable populations all over the world, and perhaps some of the most startling are those of child soldiers. UNICEF estimates that at any given time there are 300,000 active child soldiers in 30 conflicts worldwide with forty percent of child soldiers scattered throughout Africa. In this capacity they serve as messengers, spies, forced wives, and combatants. All are subjected to atrocities of war that many are not old enough to understand. But what happens to the children who survive the conflict? What is life like after the war for the young men and women attempting to rehabilitate their lives? Africa’s Children of Arms presents the work of three photographers; Marcus Bleasdale, Robin Hammond and Andre Lambertson, who have followed the lives of former child soldiers in Liberia and The Democratic Republic of Congo. Their images tell the stories of former child soldiers of haunted pasts and of hope for the future. In this special Artist Talk, hear from photojournalist, teacher, and filmmaker Andre Lambertson, as well as Kem Knapp Sawyer, contributing editor at the Pulitzer Center on Crisis Reporting, and Grace Akallo. Andre Lambertson is a New York-based photojournalist, teacher, and filmmaker committed to documenting stories of hope, healing, and transformation. He creates award-winning photo essays on social issues for magazines, books, foundations, advocacy organizations and museums including Time, US News and World Report, Life, National Geographic, Rolling Stone magazine, The New York Times Magazine, The Ford Foundation, The George Soros Foundation and The Smithsonian Museum. His work has also been published in the books A Day in The Life of Africa, A Day in The Life of The Military, America 24/7, and I RISE , a project on gifted Black and Latino youth. He was a TIME magazine contract Photographer. Lambertson has photographed a variety of issues, from sexual slavery, child soldiers, HIV in Haiti and Jamaica, juvenile violence, Homeless youth in New Orleans, to slavery in Brazil. Mr. Lambertson has taught at the International Center of Photography for the past 12 years and has taught at RISD, FIT and Fordham University. He has also taught photography to former child soldiers in West Africa to aid in their transformation and healing. Mr. Lambertson has received four “Picture of the Year” Awards, The World Press Photo Award, The OSF Media Fellowship, and four Pulitzer Center grants for various projects in Haiti, Africa and Jamaica. The second grant with the Pulitzer Center resulted in the National Press Club’s Joan Friedenberg Award for Online Journalism for a one year project on the recovery efforts in Haiti. 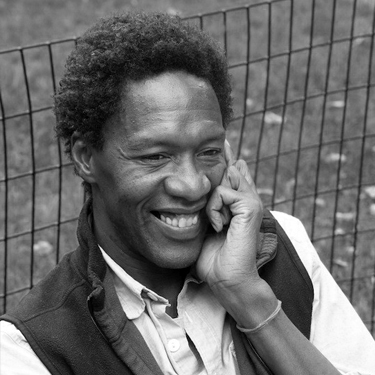 The work constructed into innovative e-book called “Voices of Haiti” won a POY award and was named an Webby Award winner for 2013 His work has been exhibited at the International Center of Photography, The Smithsonian, The Corcoran Gallery, The Darkroom and Perpignan, where he was given a special award by Visa Pour L’Image. His most significant body of work, Ashes, is a study of juvenile violence in America. Kem Knapp Sawyer is a contributing editor at the Pulitzer Center, working with journalists and university students on international reporting projects. Her own reporting includes writing on children at risk in Congo, Haiti, Bangladesh, and India. Kem also writes books for young readers, including Refugees: Seeking a Safe Haven, The Underground Railroad in American History, Lucretia Mott: Friend of Justice, and biographies of Nelson Mandela, Mohandas Gandhi, Anne Frank, and Eleanor Roosevelt. Her most recent book is titled Grace Akallo and the Pursuit of Justice for Child Soldiers. Grace Akallo is the founder and executive director of United Africans for Women and Children Rights, an organization that works to end violence against women and children, protect their rights, and promote education. She is a graduate of Gordon College and received her masters from Clark University. Originally from Uganda, she was abducted by the Lord's Resistance Army in 1996, escaped after seven months, and worked at a rehabilitation center for former child soldiers. Sponsored by: This lecture is generously supported by the Robert and Amelia Hutchinson Haley Lectures Fund.